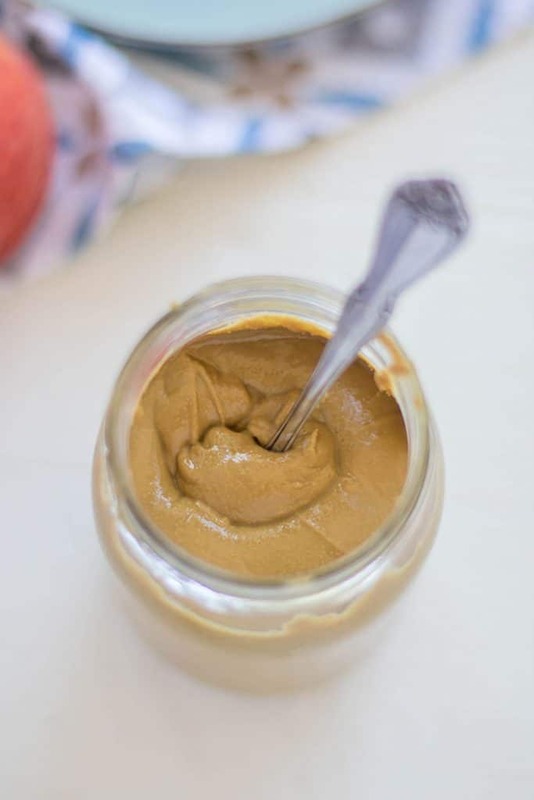 This Homemade Sunflower Butter couldn’t be more simple to make. 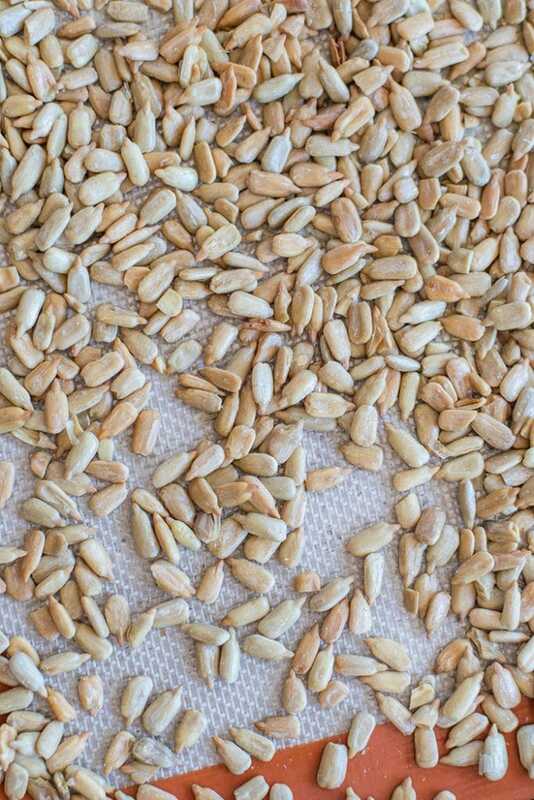 Start with toasted sunflower seeds, and then process in a high speed blender or food processor. I like to add a pinch of sea salt, and you can also add coconut sugar if you like a touch of sweetness. Back to school vibes are in the air! My son is only 2, but I already have bought him a lunchbox and have been having fun packing him healthy snacks in it for the day. He loves the box, and that it is his and his alone, so he eats more out of it than if I had just put the snacks on a plate. We will see how long it lasts! If you are like me, and want to make sure your child is fueled for the school day with real food, chances are you will have to pack lunches all school year! In the US, most public schools have dismal options for school lunches. Things have been improving, but not quickly enough. I was a teacher, and in my experience, I worked at low income school — where there was this shift between serving fruits and veggies on the student’s plates, to serving them in a salad bar where kids could serve themselves. Great if your child is naturally a good eater — but I’m telling you, those fruit and veggie bars were greatly ignored (except when there was pineapple and olives in them!). I also worked at schools with wealthy populations, where lunches were catered and included organic fruits and veggies, whole grains, and meals that were appealing to adults as well. Unfortunately, this is a rarity. So many schools now have no-nut policies to protect students with allergies. I was one of those kids who needed one of those rules (severe peanut allergy), so I am sympathetic towards this shift. 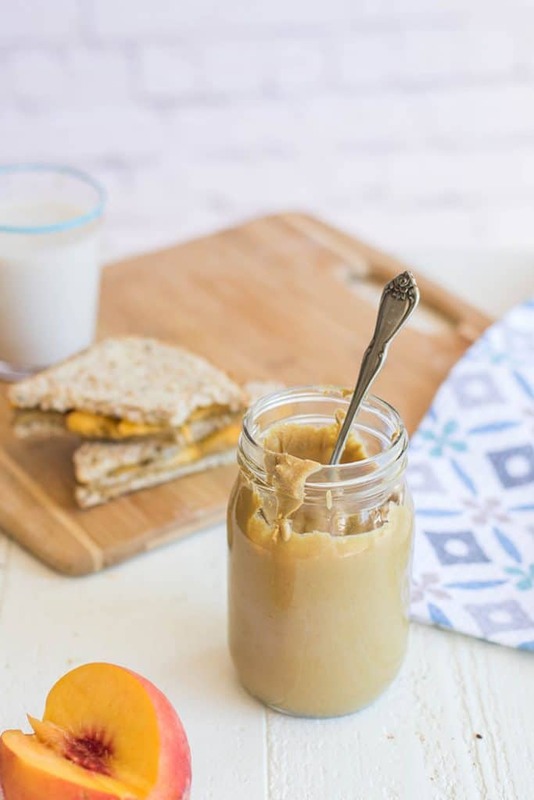 Sunflower butter is a great option for school lunches. It’s tasty, it’s nutritious, and it’s super inexpensive to make (especially compared to almond butter). I’ve also been told it tastes closer to peanut butter than any of the other nut-butter alternatives to PB. 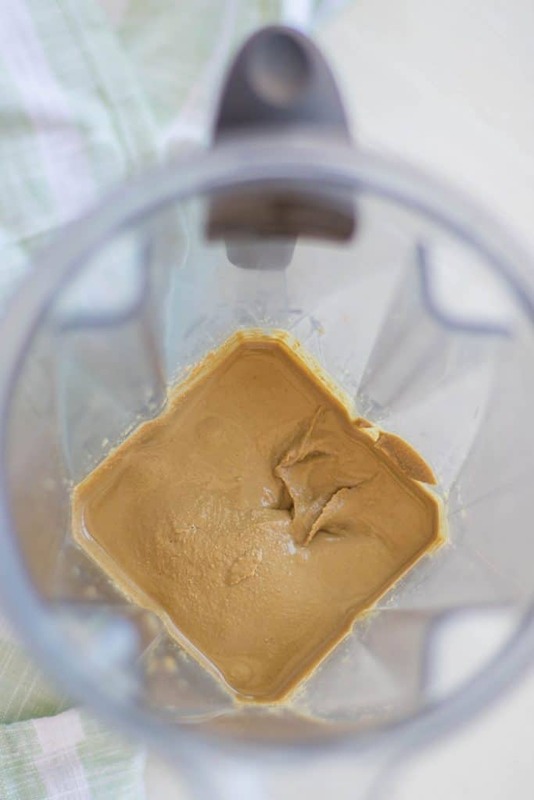 Making homemade sunflower butter couldn’t be easier, especially if you have a Vitamix or similar high speed blender. Once you have made some toasted sunflower seeds, just process – it only takes about 3 minutes in my Vitamix, but more like 12 in my high speed food processor. I only had a pinch of sea salt to mine. Most store bought sunflower butters have a touch of sweetener added. Coconut sugar is great for adding some natural sweetness. 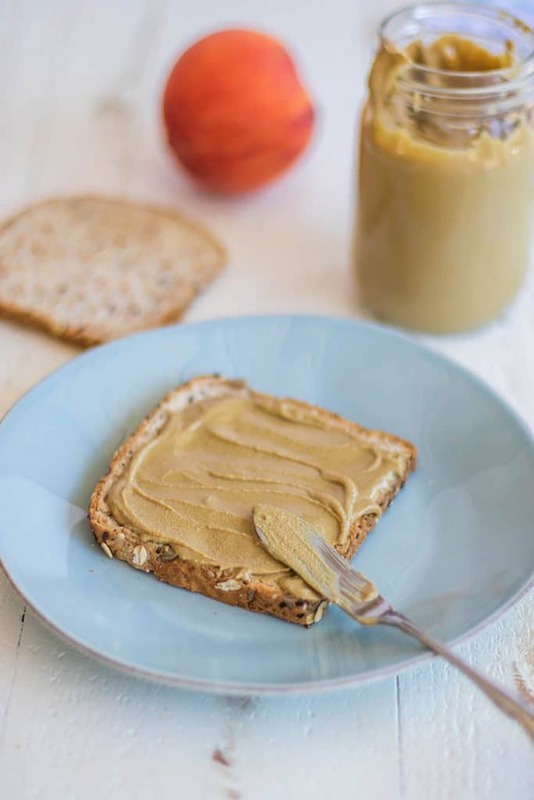 Liquid sweeteners aren’t recommended – they can make the nut butter “seize” – meaning, make it really thick and not drippy. Make it Paleo/Whole30: I don’t add sweetener to my Homemade Sunflower Butter, so it’s already Paleo and Whole30 friendly, diets that don’t allow peanuts. For the Family: If your child prefers a little sweetness, add 1-3 tablespoons of coconut sugar after the butter has already formed. Just process for another 30 seconds to mix it in well. 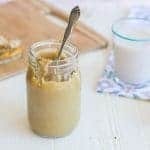 It's so easy to make homemade sunflower seed butter - a great alternative to peanut butter for school lunches! I only add a pinch of sea salt to mine, but feel free to add coconut sugar if you prefer a touch of sweetness, similar to store bought brands. Preheat oven to 300 degrees. Add raw sunflower seeds to a baking sheet, and bake for 14 minutes, until seeds are lightly browned and fragrant. Allow seeds to cool for about 10 minutes. Add to a high speed blender or food processor when seeds are still warm, but no longer hot. Making the seed butter while the seeds are still warm will speed up the process. Process until the seeds turn into a paste, and then continue to process until it has the texture you prefer. I like to process a long time until the butter is very drippy. This takes about 3 minutes in my Vitamix, and I stop 2 or 3 times to push the mixture down and clear from the sides of the container. If making in my food process, it takes about 12-14 minutes, and I stop to press down the mixture from the sides 6-8 times. If your seeds aren't turning to a butter on their own, feel free to use 1-2 tablespoons of coconut oil or grapeseed oil. Coconut oil will make your butter solidify if refrigerated, but adds a wonderful sweet taste. I add 1/2 teaspoon of sea salt to my sunflower butter once it's drippy, and then process another 30 seconds. You can also add coconut sugar at this point. I much prefer to make my nut butters in a Vitamix rather than a food processor, simply because it’s so much faster. Even though I know my processor can withstand it, it just feels wrong to keep that loud appliance running over 10 minutes. You can buy refurbished Vitamix’s at a discount, and I use mine every day. It’s something I will never regret investing in!